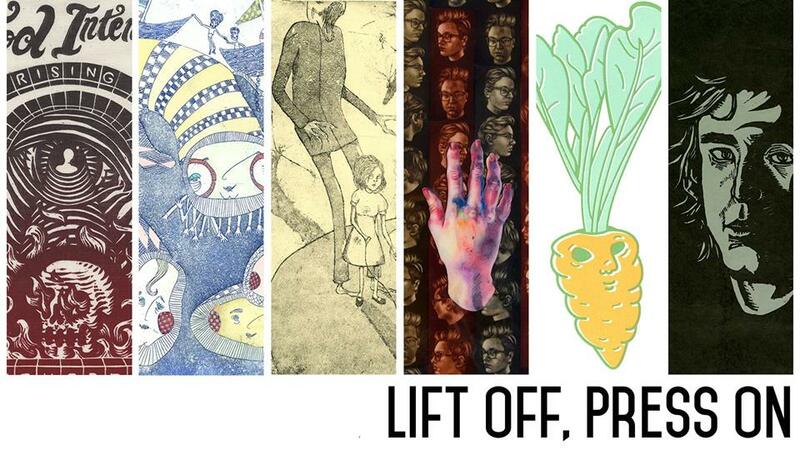 “Lift Off, Press On is an exhibition of handmade prints curated by Laika Press. All work is from local emerging and established printmakers. 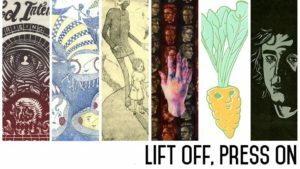 Prints include the diversity of printmaking processes, techniques, and conceptual concerns of printmakers in our community.